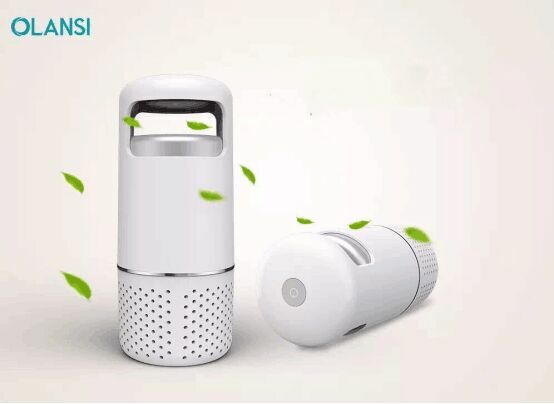 Olansi Healthcare Co., Ltd(Guangzhou Olans Water Treatment Equipments Co. Ltd) is a professiona whole car air purifier manufacturer producing negative ion car air purifier,active carbon car purifier,hepa car air purifier,antibacterial car air purifier and so on. Olansi people will tell you why it is needed to choose a best whole car air purifiers and cleaners, central for car healthy. Many celebrities are pregnant. They are thinking. They have an air purifier and a fresh air system at home. Every time they go out in the car and go to the mother and child hospital for a pregnancy test, is the air inside the car clean? 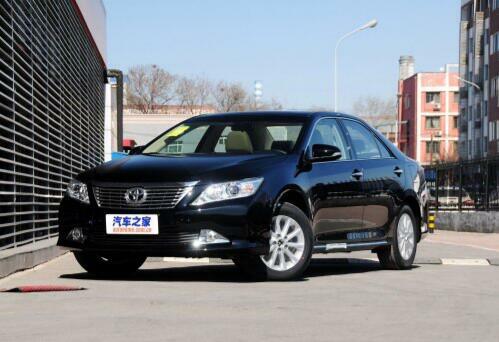 They know that there is a lot of harmful substances such as NO2 and hydrogen sulfide or sulfur dioxide in the car’s haze, formaldehyde, TVOC (Total Volatile Organic Compounds), and automobile exhaust that penetrates into the car. The haze is unquestionable and can sometimes be clearly seen. Sometimes a gust of wind comes and it seems to have blown away again. A few years ago, the World Health Organization clearly listed that haze was a carcinogen. The domestic standard PM2.5 is 75mg/m3, the World Health Organization says it is 10mg/m3, and the Americans say it is 12mg/m3. Research institutions say that the risk of various diseases increases with the increase of 10mg/m3 of PM2.5. Professor Zhong Nanshan, academician of the Chinese Academy of Engineering and director of the National Respiratory Diseases Clinical Medicine Research Center, and his collaborator, Guangzhou Institute of Respiratory Diseases, and director of the State Key Laboratory of Respiratory Diseases, Professor Yu Xin, conducted a study. The study’s conclusions show that as the concentration of PM2.5 inhaled by the human body continues to increase, the lung function of the human body will gradually decline, and the lung function of every 10 micrograms per cubic meter of PM2.5 will decrease by 26 milliliters. When the PM2.5 rises from 35 μg/m3 to 75 μg/m3, the probability of suffering from COPD will increase 2.4 times. Similarly, when the concentration of PM2.5 inhaled by the human body exceeds 75 micrograms per cubic meter, the probability that the human body suffers from chronic obstructive pulmonary disease is 2.53 times that of 35 micrograms per cubic meter. 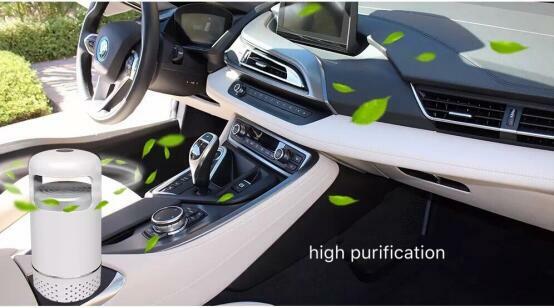 Car air purifier -about the car formaldehyde, toluene, xylene, these substances, such as song is a doctor, she is very clear that these are also carcinogenic substances. The list of carcinogens released in the latest issue is impressive. The owner of the car complained about the odor of air inside the car. 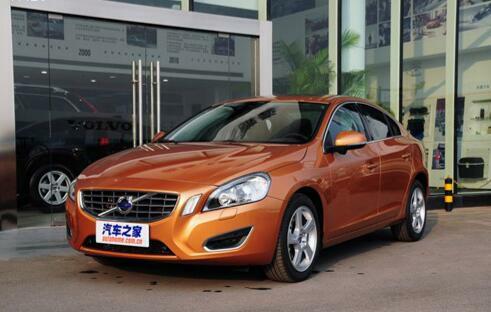 The brands Audi, Mercedes Benz, BMW, Ford, Golf, and so on, were not spared. The problem of formaldehyde or odor is particularly noticeable with new cars or 1-2 years of use. If the song is clear, in fact, the release of formaldehyde may be as long as 10 years. Ruge also knows that formaldehyde is harmful to pregnant women. After inhalation, it may lead to uncomfortable symptoms such as obscure nose, dizziness, sore throat, etc., which can lead to miscarriage, fetal malformation, ectopic pregnancy, toxoplasmosis, and anencephaly. . The development of the immune system of infants and young children is not yet complete. Pregnant women have weak physical strength and poor resistance. Formaldehyde concentrations in the air can also harm maternal and child health. Many celebrities are also aware that NO2 in automobile exhaust and high sulfur content in domestically-purchased oils also result in high levels of SO2 or hydrogen sulfide, which are not good for babies born on their own and in the stomach. Many people also know that in some areas, industrial emissions are excessive, and even if emissions are too low, in the summer, many areas of ozone are also exceeded, but only a few people are concerned. The southern part of Shenzhen, Zhuhai and other places, the Yangtze River Delta in Shanghai, Hangzhou, Suzhou, Nanjing and other places in northern Beijing, Tianjin and other places. Formal air quality forecast also marks the concentration of many pollutants. PM10, PM2.5, SO2, NO2, O3, etc. will be marked, but we usually pay little attention to it. Some stars are more rational and know that there are many pollutants in the air. Formal air quality forecast also marks the concentration of many pollutants. PM10, PM2.5, SO2, NO2, O3, etc. will be marked, but we usually pay little attention to it. For the sake of themselves and the fetus in the belly, some celebrities are considered more comprehensive. Apart from clean water and healthy ingredients, the air in the house, the air in the car, and the air in the office are all taken into account. Today, we mainly look at the car. Air purification. Some people do not care, it is their business. Being able to do better for children and family is your choice. Instead of having the risk of various diseases, it is better to prevent them in advance. Minimize the damage to humans caused by bad environment. There are reasons to have a beauty spa, eat food, and drink wine. There is no reason to let haze smog damage your skin and your lungs, and your own health with your child. The current status of cancer prevention and control in China: 12,000 new cases per day and 7,500 deaths. This is a new report by Caixin Magazine on February 14, 2018. The person that everyone does not want to get sick is himself, but in fact there are so many people who are incurable. Some stars think that for the health of their children’s family, car air purifiers seem to be indispensable. Even if they are in the car for only one hour a day, 365 hours a year, 3650 hours in 10 years, converted into working hours, That’s 2.5 hours of normal double-hour work. 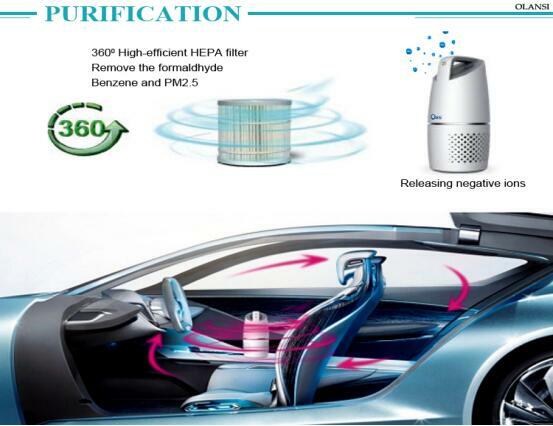 Anti-microbial, like how to choose a good car air purifier. 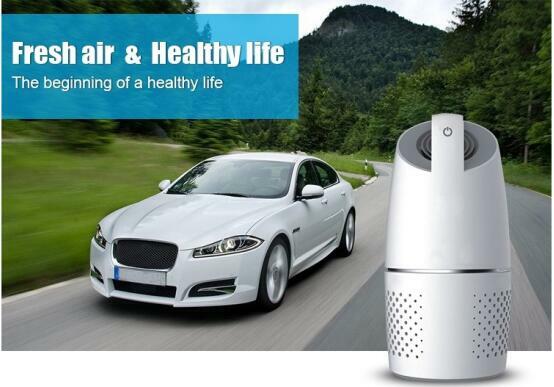 Olansi’s car air purifier you can trust.